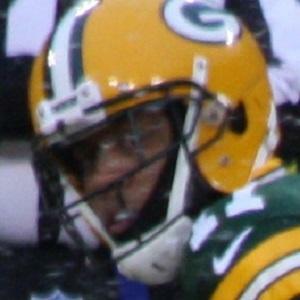 NFL receiver who found a role for the Green Bay Packers after being undrafted in 2012. He had 49 receptions, 681 yards and 3 touchdowns during the 2013 season. He set a Virginia Tech career records for receptions and yards before moving on to the NFL. He had an impressive 8 catches, 103 yards and 1 touchdown during his first career start on October 20, 2013. His parents are Harold and Aretha Harrison. He had his first career touchdown from an Aaron Rodgers pass in 2013.